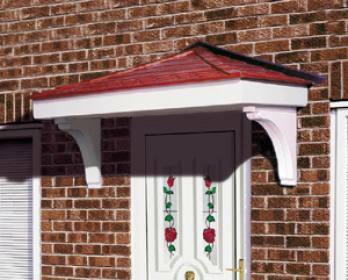 A traditional overdoor canopy, with the classic look of clay tiles over a timber base. 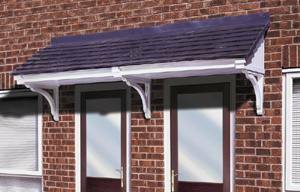 This canopy has been designed to faithfully reproduce the appeal of this popular product without the disadvantage of yearly maintenance. 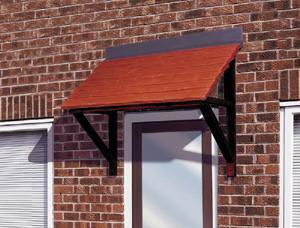 Fast easy installation make this one of our most popular canopies to enhance any door opening. 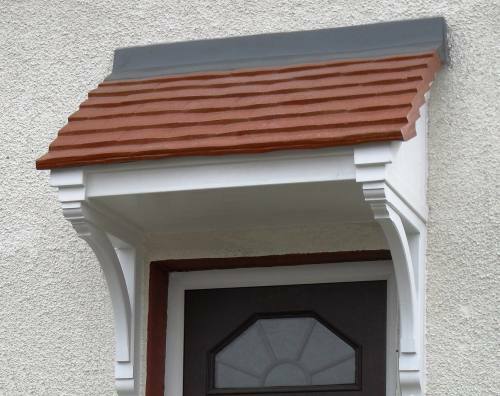 Tiles available in Terracotta or Grey, and bases in a range of colours including White, Brown, Light Oak, & Rosewood. 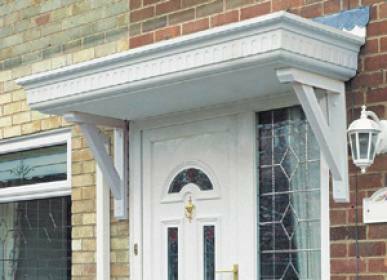 Available in a range of sizes from 1250 to 4200mm long to suit most door openings. 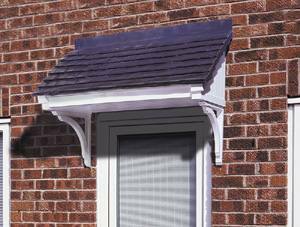 Supplied with our BRG7 brackets (shown) and with a comprehensive fitting kit. SEE ALSO OUR BERKLEY 1420 FOR LARGER APPLICATIONS.